We think it goes without saying that we are chocoholics. For anyone who’s been reading our blog for a while now, this is probably not new news. Chocolate pudding, chocolate peppermint patties, chocolate brownies, chocolate pancakes, chocolate sauce, chocolate crepes, chocolate granola, chocolate cookies… heck, we even put chocolate in our chili! But of course, chocolate cake is the king of all chocolate creations! Obviously we’ve always been die-hard fans of a rich and decadent chocolate cake, and we’ve always believed that there was absolutely no way chocolate cake could be improved upon. After all, it’s the best, right? Only a short while ago, we were introduced to red velvet chocolate cake! Our lives may never be the same. Ok, so we know what you’re thinking. Red velvet is just chocolate cake with red colouring added to it- what’s the big deal? Well we don’t know what the big deal is- we just know that it’s awesome. 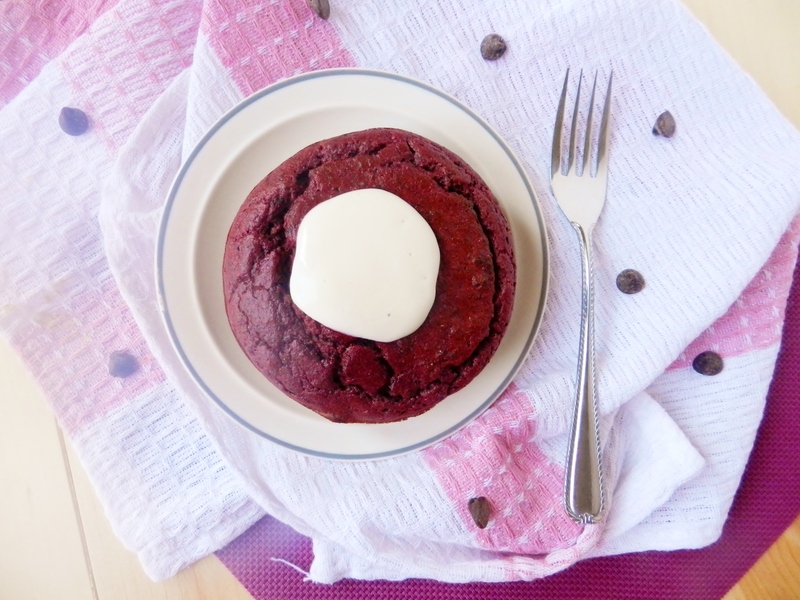 So of course we thought, why not have red velvet cake for breakfast? We think that’s entirely logical, don’t you? 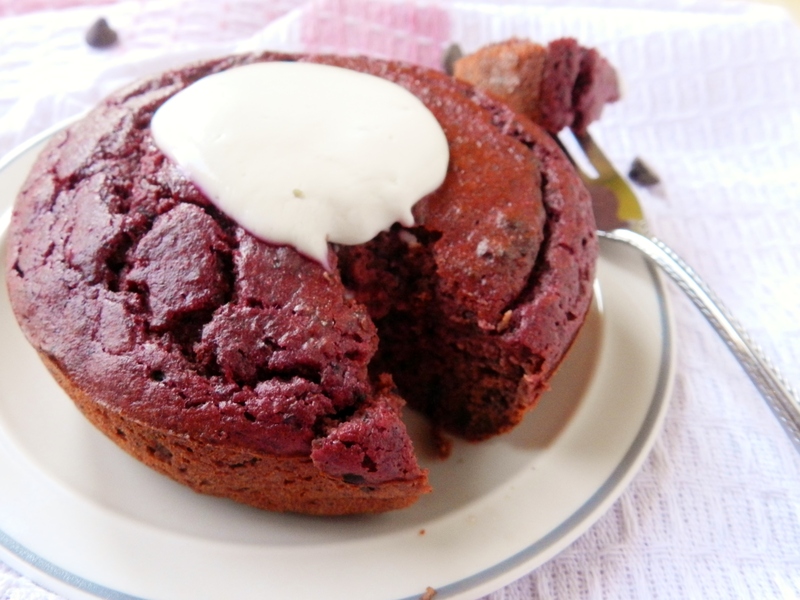 Red velvet buckwheat bake- does it get any better? We have made plenty of buckwheat bakes before, but this one is definitely one of our all-time favourites! 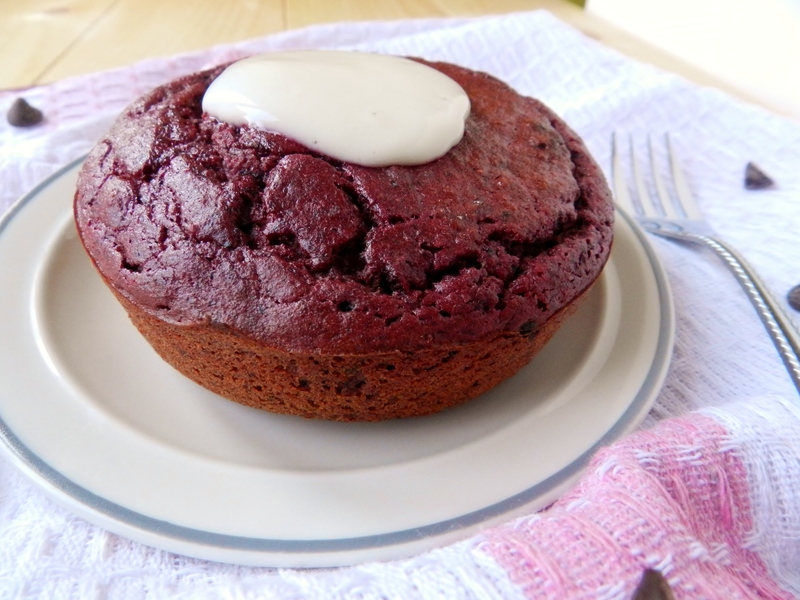 Of course, we didn’t simply dump red food colouring into our buckwheat bake. No, we got more creative (and healthier!) than that! What is our secret ingredient? Yes, beets. They’ll stain you’re hands, they’ll stain your clothes, and they’ll stain your buckwheat bakes! Put the beet in your food processor and blend to roughly chop it. Add the yogurt and honey and blend until fully combined and smooth. Add the rest of the wet ingredients and blend until smooth. Blend all ingredients together in a small blender or food processor and dollop on top of your buckwheat bake. Are you a chocolate-lover? 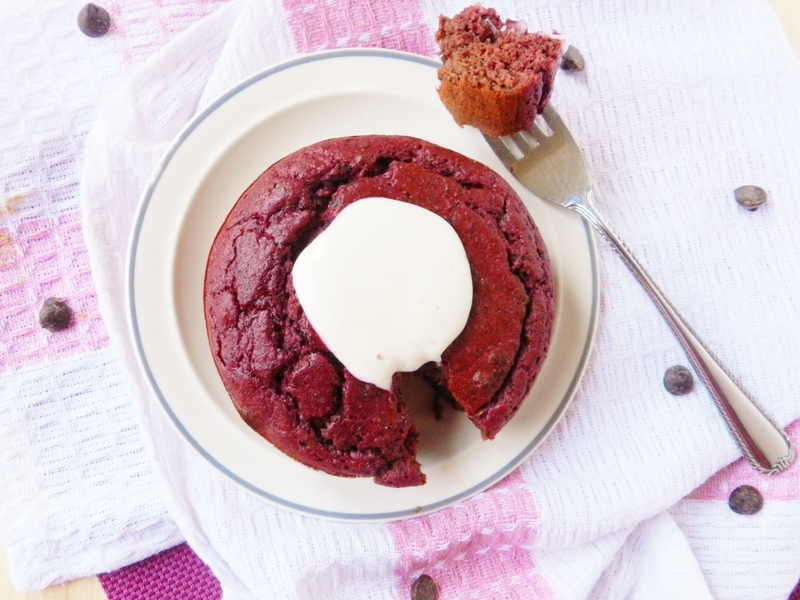 Have you ever tried red velvet cake? 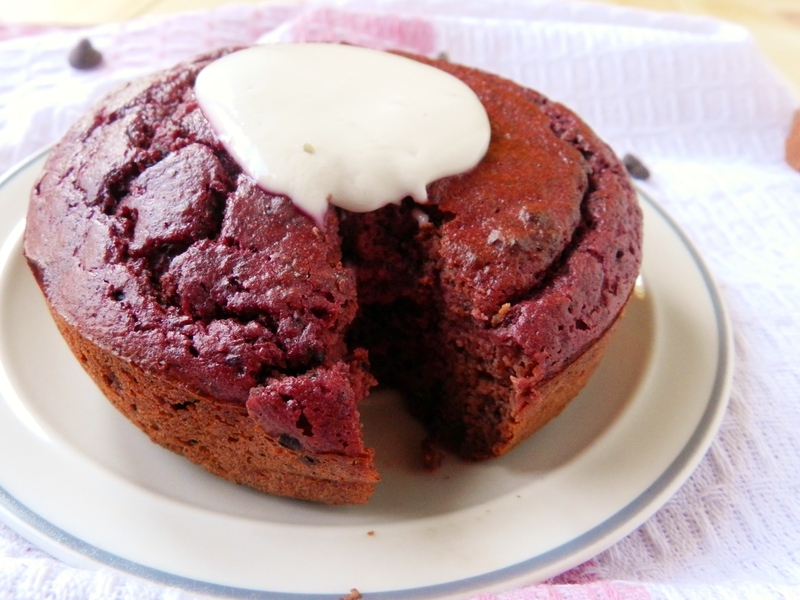 Posted in Uncategorized and tagged bake, breakfast, buckwheat bake, cake, chocolate, gluten free, healthy, low fat, red velvet, sugar-free. Bookmark the permalink. Have you guys ever tried freezing these and dethawing and eating them later? Does it work out ok?